Summer treats come in so many forms. From ice cold and refreshing popsicles, to healthy energy bites and fresh fruit, there’s so much to enjoy. 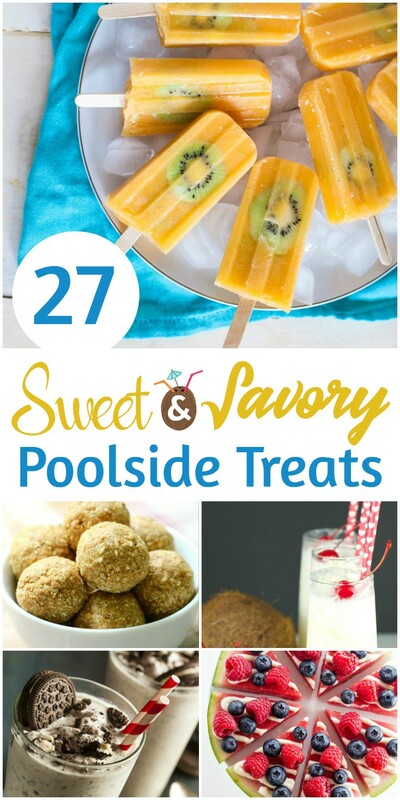 If you’ll be lounging poolside this summer, here’s a list of 27 great treats to take with you! 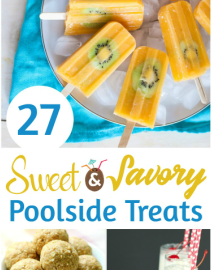 Will you choose a sweet or savory poolside treat? I think I would choose a savory treat and wash it down with lemonade.